The University of Washington School of Medicine, a component of UW Medicine, continues to rank as the nation’s top medical school for primary care education and No. 2 in research funding in the latest U.S. News & World Report Best Graduate Schools (2018 edition). This is the 23rd time in the 24 years of this U.S. News ranking category that it has held the No. 1 primary care position. The medical school rankings list is available from the U.S.News website. U.S. News ranks the nation’s graduate and professional schools through a weighted average of several indicators, including admissions selectivity, faculty/student ratios and peer assessments. In a reputational survey of medical school deans and senior faculty across the country, the UW School of Medicine’s medical student teaching programs were rated No. 1 in family medicine and No. 1 in rural medicine. It has maintained these two rankings for the past 26 years. Medical schools were compared on the number of graduates entering primary-care residencies, residency director assessments, and other factors to determine the leading primary-care program. Primary care is a patient’s first-line contact for general health maintenance, prevention, treatment of common conditions and specialty-care coordination. Primary care practitioners are critical to ensuring the health of individuals living in rural settings. As the only medical school in a five-state region, with a significant rural landmass, the UW School of Medicine is responsible for training physicians to meet the critical need in these communities. The ongoing success in primary-care training in such areas as family medicine and rural medicine is largely due to the School’s program of regionalized medical education called WWAMI, an acronym for the states of Washington, Wyoming, Alaska, Montana and Idaho. The School of Medicine’s medical student program also ranked No. 5 in pediatrics (children’s healthcare), tied at No. 6 in internal medicine (adolescent through adult healthcare), and ranked No. 7 in geriatrics (elder healthcare), and No. 8 in teaching about alcohol and drug abuse. UW School of Medicine continues to be the leading public institution in the amount of federal research funding received. Based on the U.S. News accounting of National Institutes of Health funding, the School received $638.8 million in NIH grants in fiscal 2016 and is second to Harvard University, a private institution, in the amount of this federal funding. In addition to NIH funding, UW Medicine faculty also attract grants from foundations and other sources for a total of more than $1 billion per year of research funding. UW Medicine is one of the top-rated academic medical systems in the world. With a mission to improve the health of the public, UW Medicine educates the next generation of physicians and scientists, leads one of the world’s largest and most comprehensive medical research programs, and provides outstanding care to patients from across the globe. UW Medicine’s four hospitals—Harborview Medical Center, Northwest Hospital & Medical Center, University of Washington Medical Center and Valley Medical Center—admit about 63,000 patients each year. A network of hospital-based and outpatient clinics, including 12 UW Neighborhood Clinics, sees more than 1.5 million patients each year. The UW School of Medicine, part of the UW Medicine system, leads the internationally recognized, community-based WWAMI Program, serving the states of Washington, Wyoming, Alaska, Montana and Idaho. The UW School of Medicine has been ranked No. 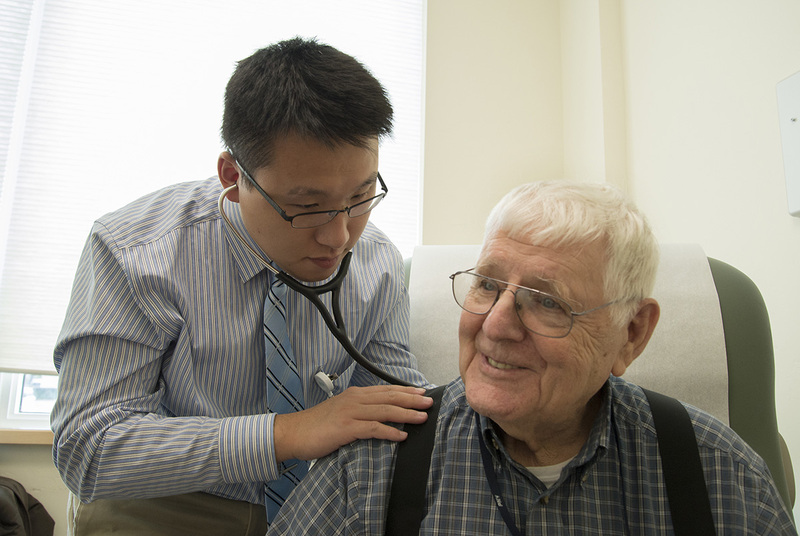 1 in the nation in primary-care training for more than 20 years by U.S. News & World Report.